The children of two American citizens, born in the territory of the United States, are “natural born citizens.” Citizenship is their natural right, not a privilege granted by the Government. Anyone, who has to cite a law — including the 14th Amendment — has disqualified their own argument. The 14th Amendment to the Constitution did not change the eligibility requirements for the presidency. Since citizenship is a natural right for those born of American parents on American soil, the Government does not grant the right and they cannot legally revoke it. 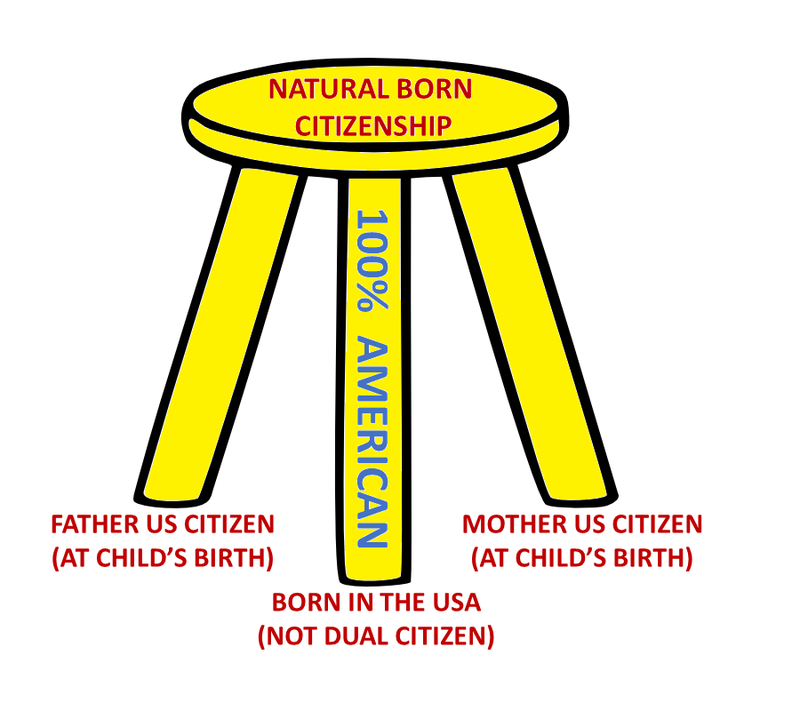 Natural born citizens are “naturally” American citizens. Congress is empowered by the Constitution to make naturalization laws. According to US Constitution, Article I, Section 8. Every law that Congress makes granting citizenship is a *naturalization* law. Natural born citizens are already naturalized and do not need to be naturalized a second time. Therefore, they do not have to be granted citizenship by a specific law from Congress. The Founders would have said they are citizens by God’s law or the law of nature and not by the law from the Government. Dual citizenship did not exist in the early days of the Republic, but it is not consistent with the intent of the Framers in requiring natural born citizenship for eligibility of the presidency. The Framers were concerned with ensuring the undivided loyalty of the commander-in-chief. Dual citizens have divided loyalty, by definition. This is a highly-charged, political issue and there will probably never be total agreement on what the term means. If today’s politically-correct courts rule on the issue, it will likely be the wrong decision. If those, who are foreign born and raised, can become president, what can stop anyone in the world from becoming president? How will we know, who the parent of a foreign-born person even is? DNA testing will not be allowed. The paper trail can be fabricated. As we are painfully aware by now, there is no official verification of the eligibility of candidates. Fortunately, citizens can enforce this requirement, themselves, by just not voting for candidates they believe are ineligible. If only a relatively small fraction of the voters refuse to vote for them, it will have a devastating impact on ineligible candidates, since elections often turn on a few percent of the vote. Do not depend on our corrupt political elites or courts to decide for you what the term means. Take action, yourself, at the ballot box. Emerich de Vattel argued that children of American citizen parents abroad, — under certain conditions — serving in the military, born on ships or on a state mission should be considered as being born in the jurisdiction of the home country and thus are natural born citizens. However, the children of those, who have resettled in another country, are not natural born citizens, because they have joined another society. The parents of Ted Cruz, for example, had resettled in Canada by the time he was born, making it their permanent home. His father took Canadian citizenship and started a well-logging business in the Canadian oil industry. Ted Cruz had dual Canadian / British citizenship and possibly even a third, Cuban citizenship. Barack Obama also had dual American / British citizenship at birth, which should have disqualified him. The same is true of Marco Rubio, who was born in the U.S. of two Cuban citizen parents. § 212. 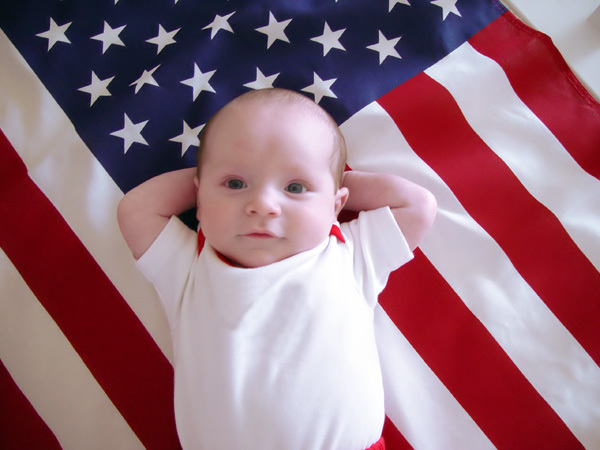 The natives, or natural-born citizens, are those born in the country, of parents who are citizens. § 215. Children of citizens born in a foreign country. It is asked whether the children born of citizens in a foreign country are citizens? The laws have decided this question in several countries, and their regulations must be followed? 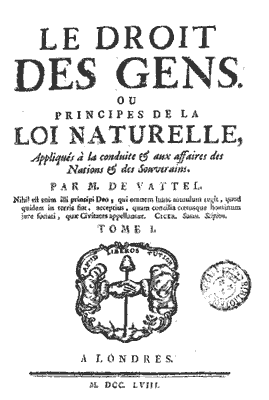 By the law of nature alone, children follow the condition of their fathers, and enter into all their rights (§ 212); the place of birth produces no change in this particular, and cannot, of itself, furnish any reason for taking from a child what nature has given him; I say “of itself,” for, civil or political laws may, for particular reasons, ordain otherwise. But I suppose that the father has not entirely quitted his country in order to settle elsewhere. If he has fixed his abode in a foreign country, he is become a member of another society, at least as a perpetual inhabitant; and his children will be members of it also. § 217. Children born in the armies of the state or in the house of its minister at a foreign court. For the same reasons also, children born out of the country, in the armies of the state, or in the house of its minister at a foreign court, are reputed born in the country; for a citizen who is absent with his family, on the service of the state, but still dependent on it, and subject to its jurisdiction, cannot be considered as having quitted its territory.